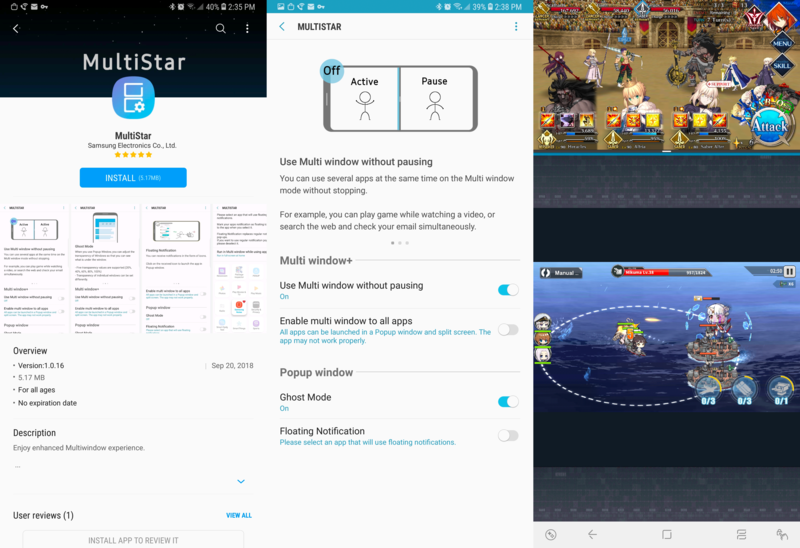 According to an excited poster on Reddit, MultiStar addresses some of the issues encountered when using Android's native multitasking implementation. Samsung's module can be used to force any app into split-screen while keeping both windows active. Even Netflix works with MultiStar, which is surprising since it hasn't played nice with native split-screening. Floating windows can also be selected instead of split-screen if you want more than two apps on display at once. Apparently, API level 27 is required, so this will only work properly with the Note9 and Tab4 at the moment. As reported by SamMobile, another feature of MultiStar is floating notifications. Similar to Facebook Messenger's Chat Heads, notifications will appear on the screen as an icon and can be open in a Popup without completely switching to the relevant app in full-screen. You can choose which apps will appear in this way — just for messaging apps would be a good example of how to use it. If you have a Samsung Galaxy phone or tablet, you can download the latest Good Luck 2018 update from APK Mirror or Galaxy Apps. From there you can install the MultiStar module and give it a try.